07974 001221 patjones34@hotmail.com for information about the coach to London. 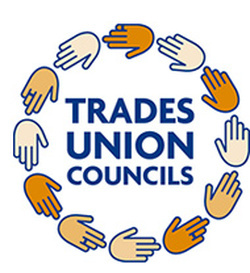 Calderdale Trades Council is offering financial support to low paid and unemployed Calderdale residents who want to travel from Huddersfield to the London demonstration. Contact us for more information. 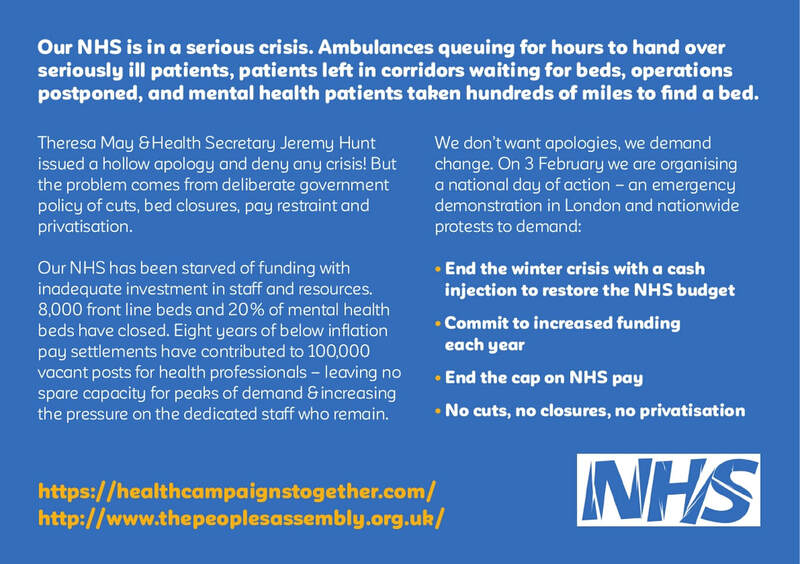 Health Campaigns Together and People's Assembly demonstration. 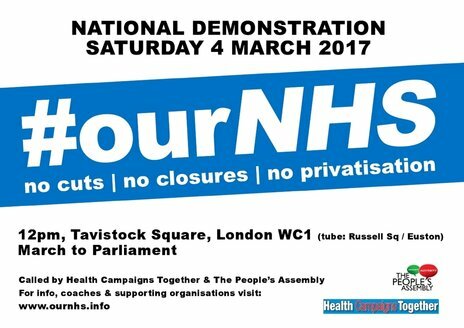 Calderdale People's Assembly is organising a coach to the #ourNHS – no cuts | no closures | no privatisation demonstration in London on Saturday March 4. 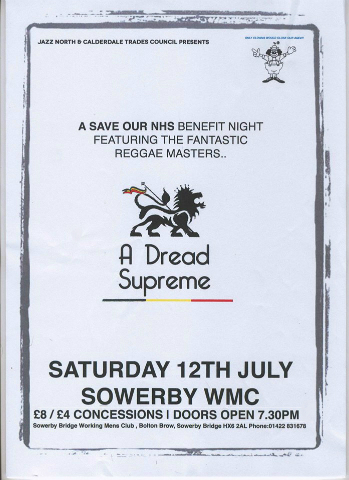 Ticket prices are: supporter £30, waged £24, low waged/pension £15, unwaged £5, children free. Supporter rate helps pay for children and unwaged. Note: if tickets are bought via Eventbrite an additional fee will be charged. Alternatively, contact Jane Rendle to arrange to buy tickets or for more information: ﻿e-mail pa-bookings@calderdaletuc.org.uk or phone 07955313391. The exact locations of pick-ups will be notified on booking of tickets. The deadline for the consultation into the Hospital reconfiguration proposals, including closing the Accident and Emergency Department at Huddersfield Royal Infirmary has been extended to 5pm Friday June 24. Please complete the online survey at: https://www.elesurvey.co.uk/f/613800/6471 or call 01484 464212 to obtain a printed version of the survey. 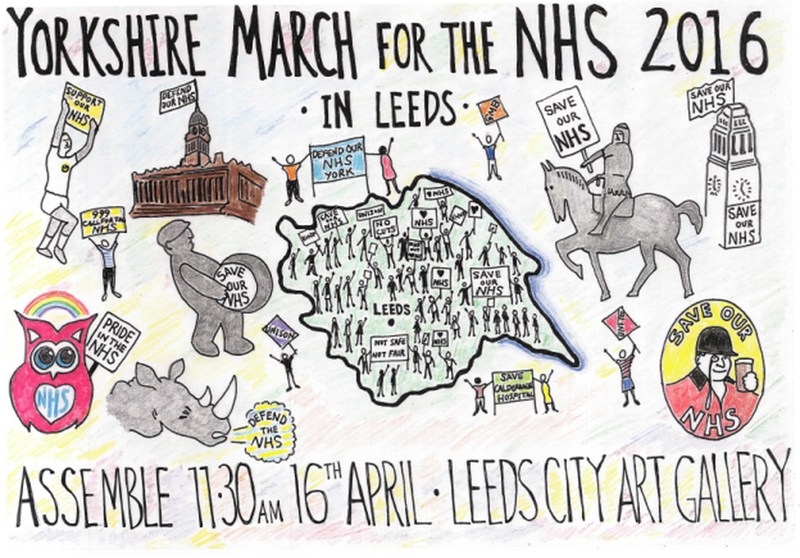 NHS campaign groups have drawn up some model responses to the Consultation questionnaire. These are available at http://www.energyroyd.org.uk/wp-content/uploads/2016/06/June-6th_Hospital-cuts-consultation-survey_brief-advice_final.pdf. Please draw on these to fill in the questionnaire but answer the questions using your own words. 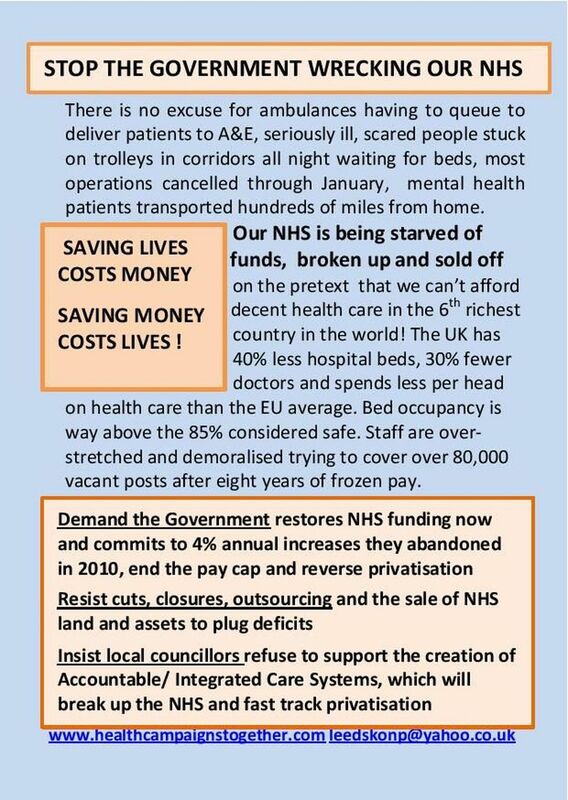 Campaigners are also asking people to print and deliver the pdf version of the leaflet in their local area. 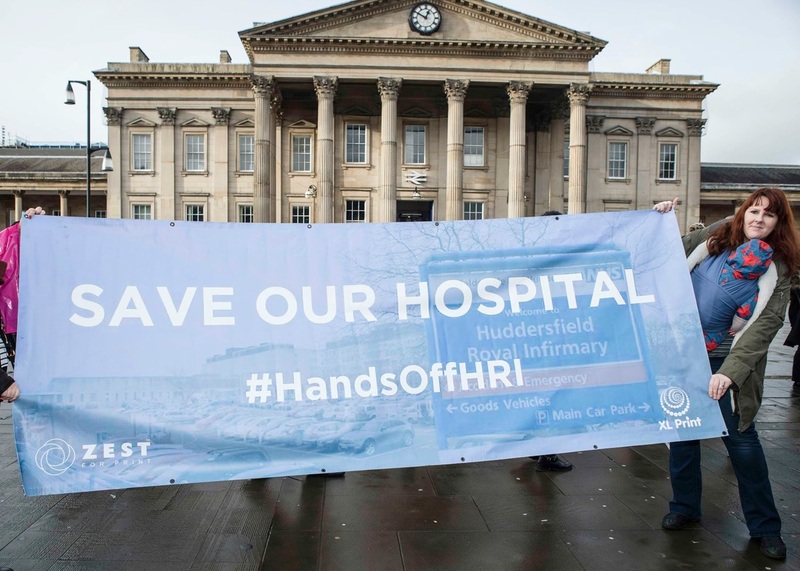 The deadline for the consultation into the Hospital reconfiguration proposals, including closing the Accident and Emergency Department at Huddersfield Royal Infirmary is next Tuesday - June 21st. 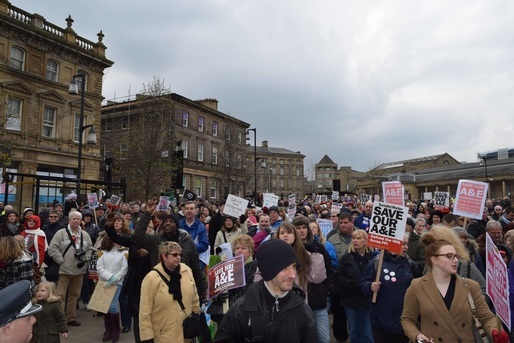 "More than 5,000 people flooded St George’s Square today for Huddersfield’s biggest post war demonstration as they fight plans to close the town's A&E department.?" 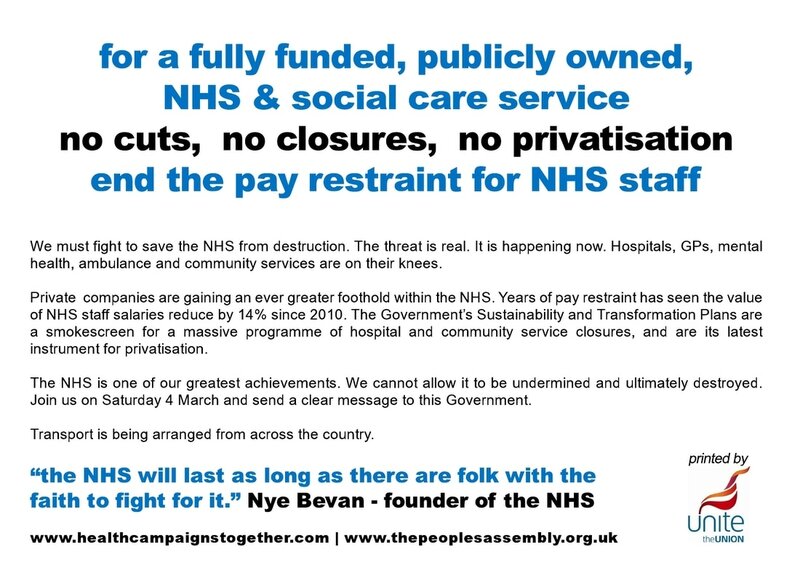 It is four years since the Tory / Lib Dem coalition passed the Health and Social Care Act sounding the death-knell for the NHS. The H&SC Act removed the Secretary of State’s duty to provide a national health service and opened up almost all new health care contracts to private companies. 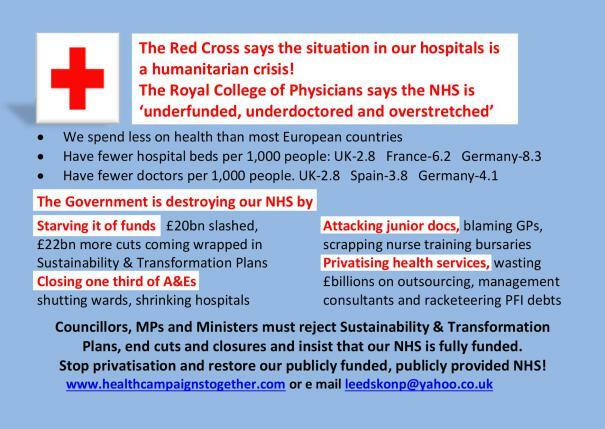 The NHS is being privatised, fragmented and starved of resources. Now the Government is moving fast to devolve health care to the same Local Authorities who they have already decimated through budget cuts so we can expect more hospital closures, rationing and post code lotteries with the blame deftly diverted from the Government to local Councils. Like many hospitals, Leeds Teaching Hospital is expecting to be £40m in the red this year, Huddersfield and Dewsbury Hospitals are losing their A&Es and being run down, maternity units are closing, mental health services in York are in total disarray and the Government is openly calling for cuts in front line staff just a year after insisting on minimum staffing levels to maintain patient safety. They have axed public health budgets hard on the heels of public health becoming the responsibility of Local Authorities. 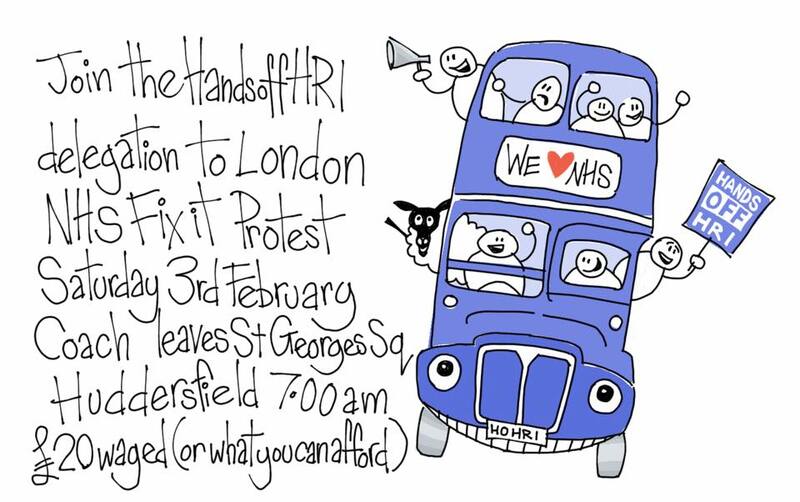 Now they are trying to impose a new contract on junior doctors that is neither safe nor fair and remove student bursaries from nurses and allied health workers. 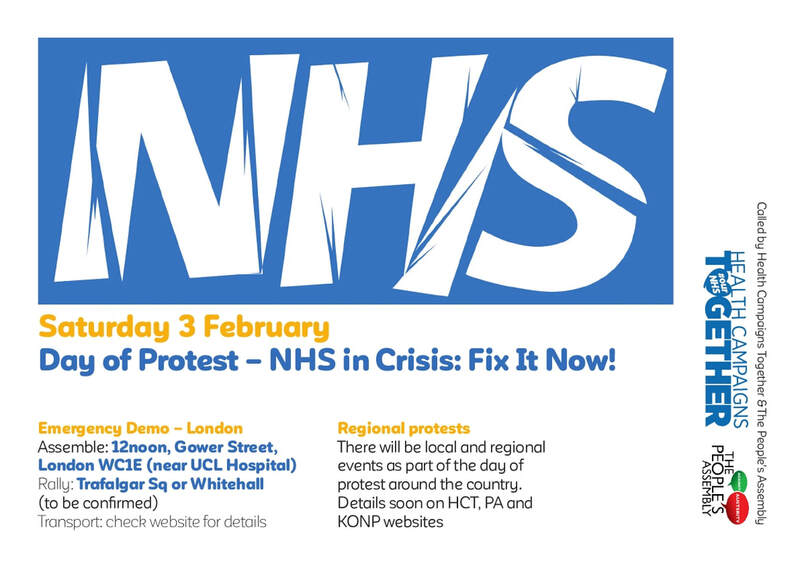 Even GPs who normally stay out of the fray have just held an unprecedented crisis summit and are exploring what action they can take to resist the running down of GP services. 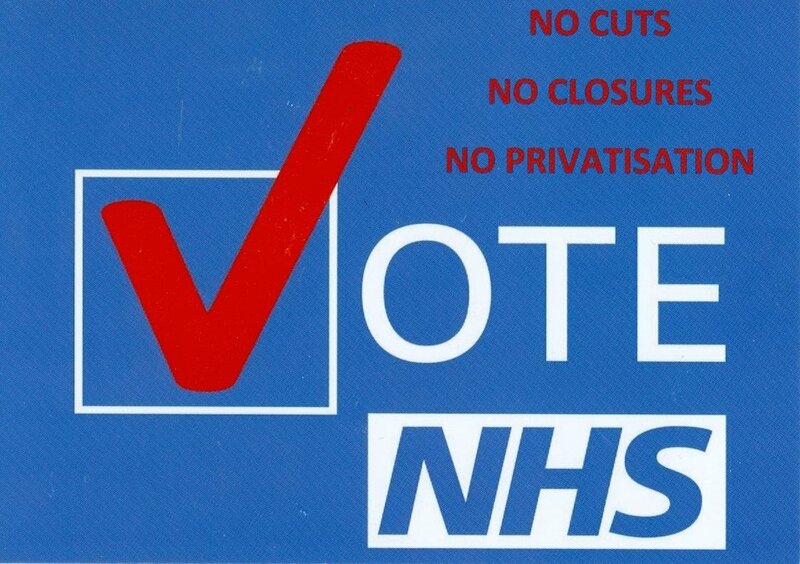 PRIVATISATION PLANS ARE: "BEGINNING OF THE END"
Plans are in place to slash the number of NHS beds at Calderdale Royal Hospital to just 88 – and to open up 300 beds to private patients. 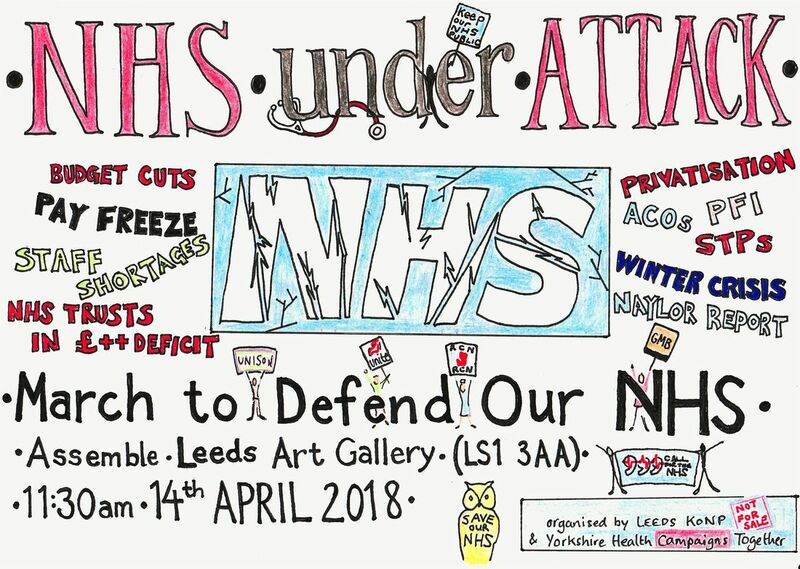 Calderdale Trades Council, Calderdale 38 Degrees NHS Campaign Group and members of the public called on the Scrutiny Panel to hold a formal inquiry into the hospital trust’s Strategic Outline Case proposals for shaking up NHS and social care. Below: part of the May Day March to save our A & E. Photo: Tony Zimnoch. Lobby Calderdale Council Adults, Health & Social Care Scrutiny Panel Tuesday 1st July 2014, Halifax Town Hall, 5.30pm onwards. 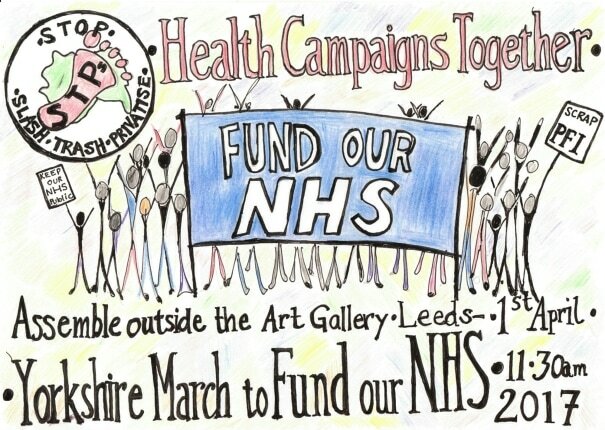 Calderdale Trades Council, Calderdale 38 Degrees NHS Campaign Group and members of the public are calling on Calderdale Council’s Adult Health and Scrutiny Panel to hold a formal inquiry into the hospital trust’s Strategic Outline Case proposals for shaking up NHS and social care. 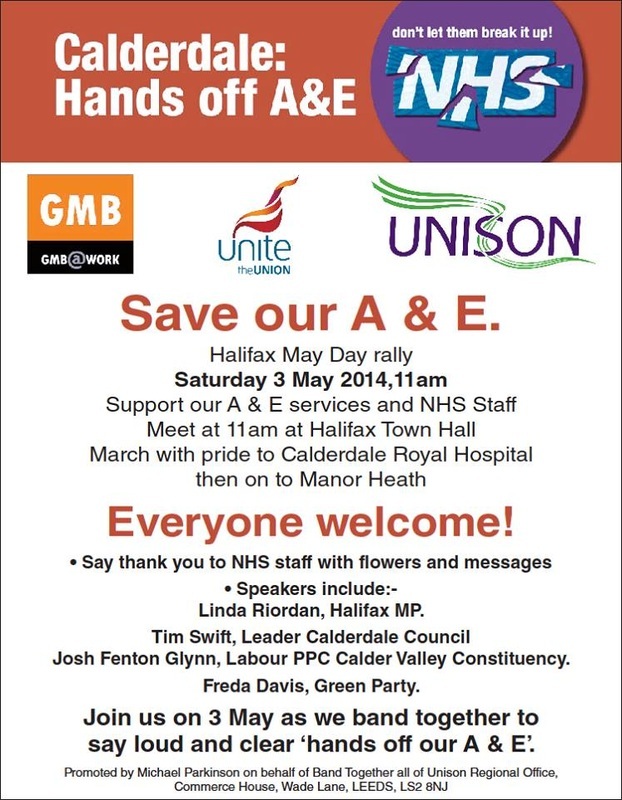 Hundreds marched for A&E on Mayday, leaving flowers and messages at Calderdale Royal Hospital to say thank you to NHS staff. 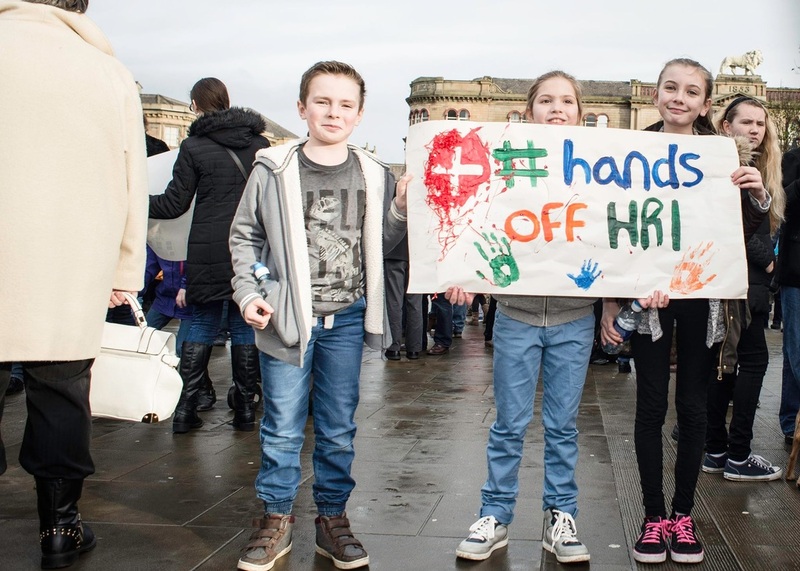 "Dr Matt Walsh, chief officer of Calderdale Clinical Commissioning Group (CCCG), has told Calderdale Health and Wellbeing Board he was unsure as to when the public would get their say and what the proposal would be." 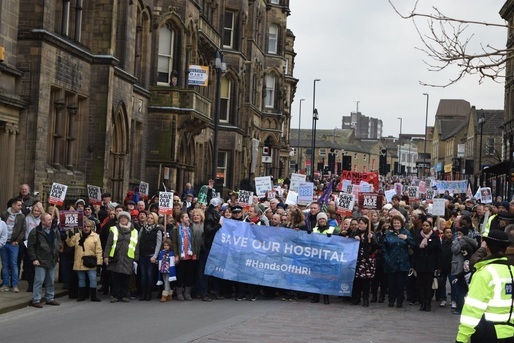 "Politicians and health bosses are set to clash after calls to drop proposals which could see the closure of Calderdale Royal Hospital’s Accident and Emergency department were rejected by doctors’ leaders." 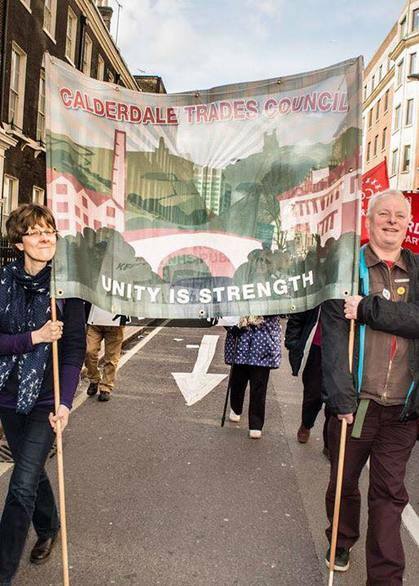 Below: Calderdale Trades Council took part in a lobby of the Council meeting on Wednesday 16 April. 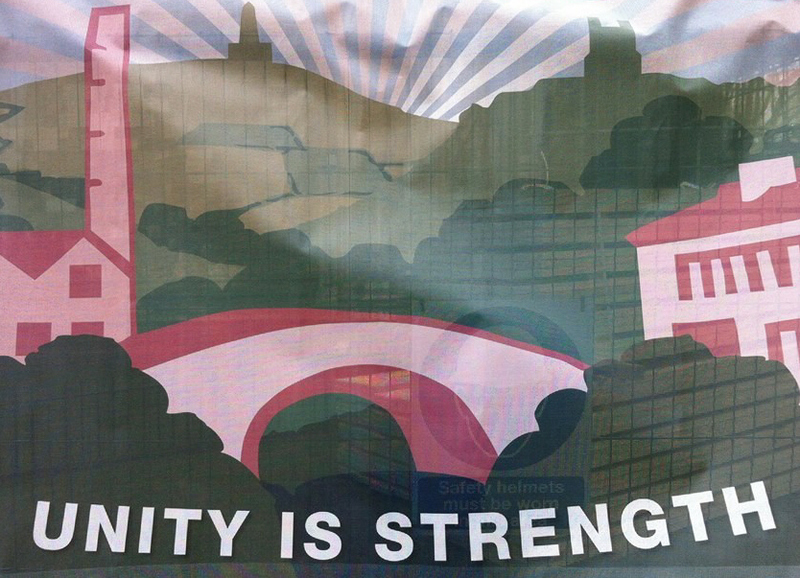 Councillors voted unanimously on Wednesday 16 April to ask the NHS Trust to withdraw its ‘preferred option’ and to set up a People’s Commission to take evidence, lead consultation and produce proposals regarding the future provision of integrated health and social care services across the Calderdale and Greater Huddersfield health and social care economy. 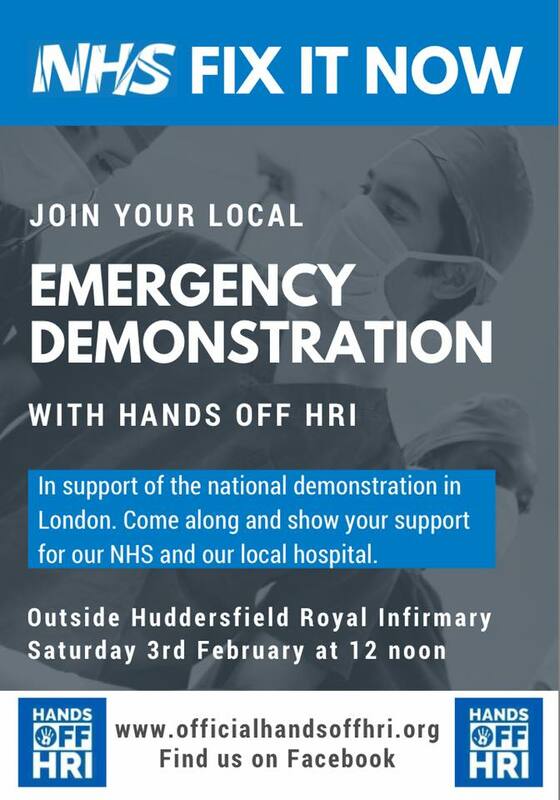 After 300 people gathered in Halifax on Saturday 29 March a Steering Group has been set up to co-ordinate the campaign to oppose the downgrading or closure of A & E services in Calderdale and Huddersfield. Calderdale Trades Council Chair Cllr David Draycott joined Halifax MP Linda Riordan and others to leaflet FC Halifax Town supporters about the campaign at their home match on 19 April. 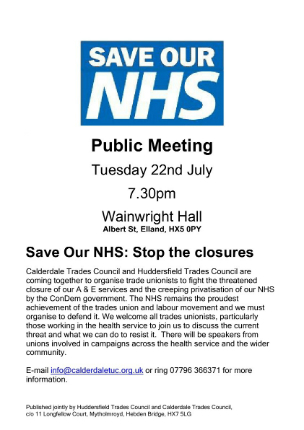 Please support this lobby to show Calderdale Councillors that there is massive opposition to plans to close the Accident and Emergency Department at Calderdale Royal Hospital. Free Car Parking 100 yards away. 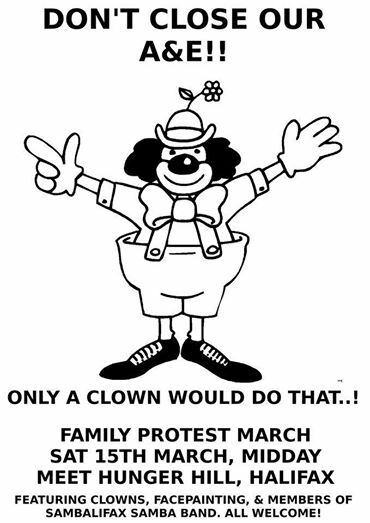 If you would like to take part in activities, such as marches, rallies etc; but not get involved with the planning, then follow the campaign website at. 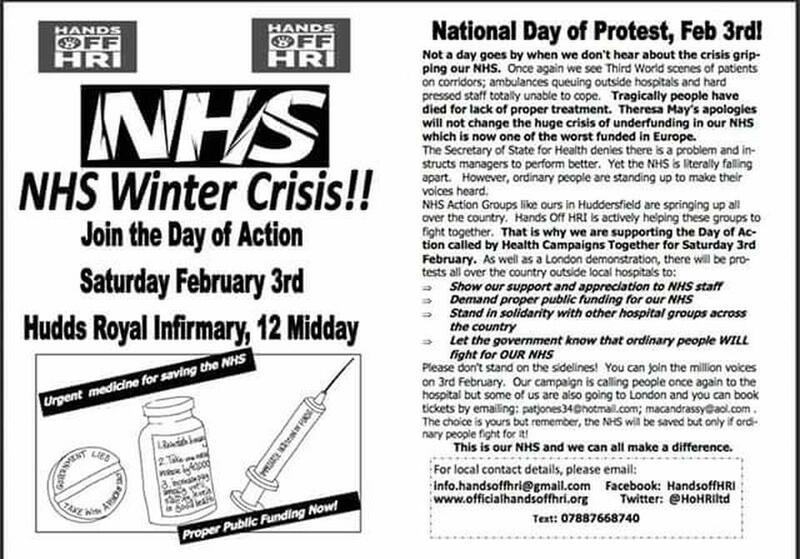 Click on http://www.unisonyh-action.org.uk and click the “Add your voice” tab. audience that: "these signatures had been collected by volunteers working in the wind and the rain during the winter." 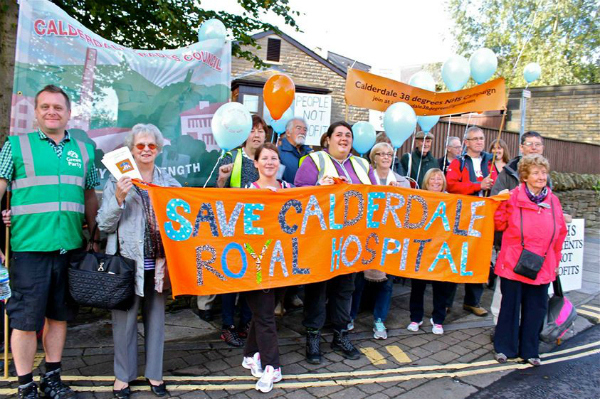 Campaigners were given a boost when Leader of Calderdale Council, Cllr Tim Swift announced that: "the Labour Group will ask the next Council meeting to call on the hospital Trust and Clinical Commissioning Groups to withdraw their current proposals."